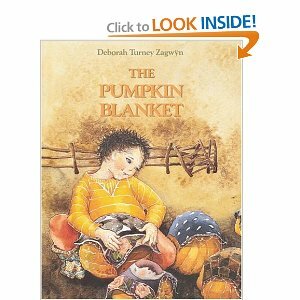 When Aron and I were first dating and he was traveling, he got me a sweet children's book called "The Pumpkin Blanket." Last year Joel tossed some pumpkin seeds and gunk into our garden as composting, then this year Aron located what looked like some pumpkin vines. 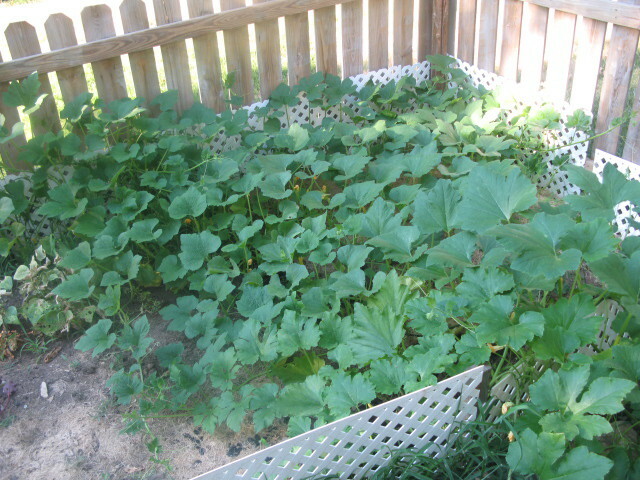 He transplanted them to the end of the garden so they wouldn't kill our tomatoes, beans, carrots and beets, and they are TAKING OVER the garden, climbing OUT OF the garden and resting on our air conditioner. I can't wait to see how many actual good pumpkins we get out of this "crop." I wonder if my kids will cover them with blankets if they get cold come October. Anyone for pumpkin pie? I'll mail you a piece!